The use of artificial light at night is spreading rapidly through the world, expanding by an estimated 6% every year. There is much to be said for bringing light into people’s lives after nightfall, offering improved security to communities and giving people the ability to see in more comfort long into the night. 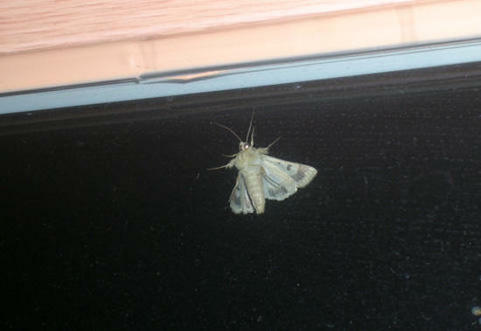 However, recent research conducted in Switzerland shows that insects don’t share the same love of light at night. Scientists monitored insect behaviour in both naturally dark and artificially illuminated meadows, and found the number of visits of nocturnal pollinators to be severely reduced in the lit areas. Worryingly, further research showed a 13% reduction in fruit production in the artificially-lit meadows. The fall in the worldwide insect population is well-documented, but this is the first study to show a relationship between artificial light and insect behaviour, and the results give cause for concern. Without nocturnal pollination, whole natural ecosytems are threatened, and global food supply could suffer. Pollination threatened by artificial light.